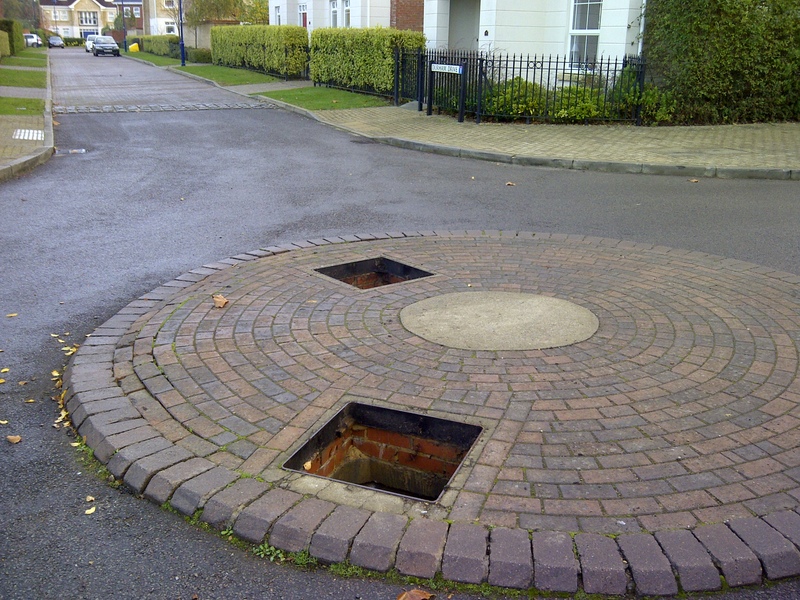 This morning on the roundabout at the junction of Durham Drive / Swordsman’s Road, two metal man hole covers were stolen. This happened between 8.20am and 8.30am. 2 white males. 1st around 5’10” short mousey-brown hair and the 2nd around 5’8″ black hair, both wearing High-Viz jackets. The men involved pulled up to the roundabout and waved traffic by. As they were wearing high viz vests and directing traffic they gave the impression they were official contractors. This incident has been reported to Surrey Police, however, I want to urge residents to remain vigilant. We have already had fly tippers target the area over the last couple of days and with these man hole covers being stolen, there is a good chance we could be targeted again. These man hole covers cost a significant amount to replace which means if others are stolen, it could have a major impact on our annual charges. I have asked itsyourplace to notify me when contractors are expected on the estate and I will update the feed on the left hand side of the menu bar so residents know when contractors should be here. If you see anything suspicious at all please call Surrey Police on their non-emergency telephone number 101. Even if you are not sure that something is suspicious but see a white van with workmen please make a note of the vehicle registration number and try and remember what individuals looked like and what they are wearing. if in any doubt whatsoever call Surrey Police on 101. We need to get the message out to the criminal fraternity that we are vigilant and will report anything suspicious. We have been very lucky over the years to have not been targeted in this way and it is important to remember that this could happen anywhere. But lets make sure we have each others backs. itsyourplace have been notified and contractors will be out today to make the roundabout safe. The holes are over 10 ft deep. Please keep your children away from the area and be careful when driving near this roundabout. 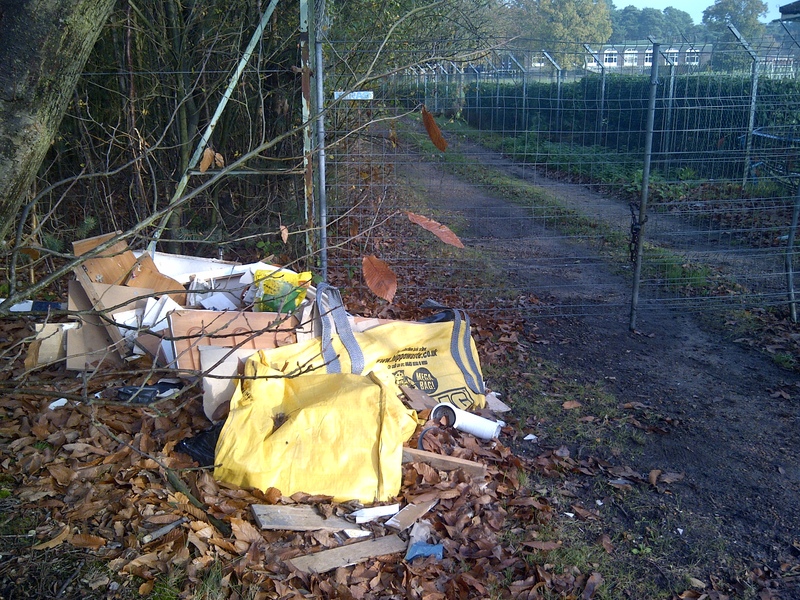 This morning I have noticed some fly tipping has occurred to the north of the development on the private MOD owned road that separates Dettingen Park and the officers mess cricket club. It is really important that if you see anything suspicious that you report it to Surrey Police on the non emergency phone number 101. 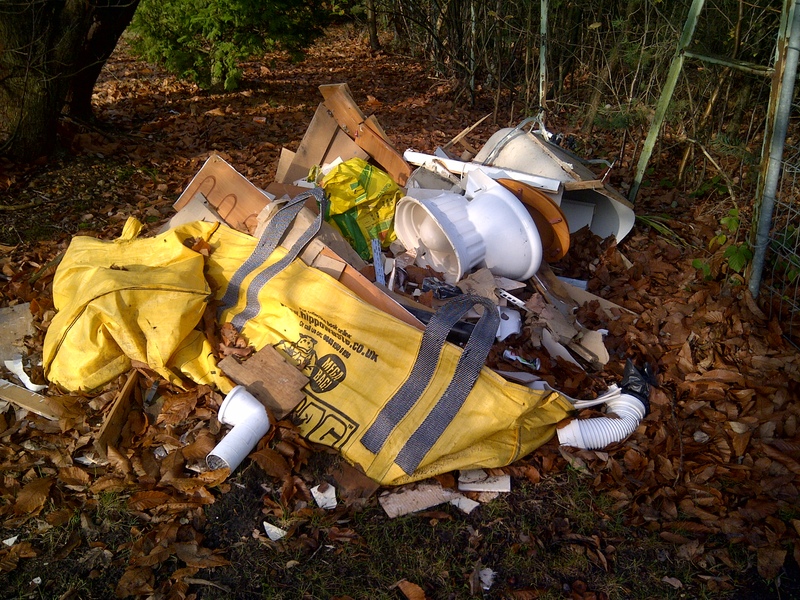 Or if you see fly tipping in progress call 999. Registration, make, model and colour of any vehicles involved. if the vehicular has any distinguishing marks such as dents or dashboard bling such as dice and so on. And if possible get an image on your mobile phone but do not place yourself in danger. It is also important to report anything you see to the police immediately as the vehicles involved could still be in the area and the police could see it out and about on thier patrols. Lets make sure that the word gets out that Deepcut is not a good place to fly tip as residents are switched on and will report any suspicious activity. I witnessed what appeared to be such activity this morning and reported it to the police. They were on scene within 5 minutes. It did turn out to be a innocent but the police did not make me feel bad at all that it did not turn out to be criminal activity. 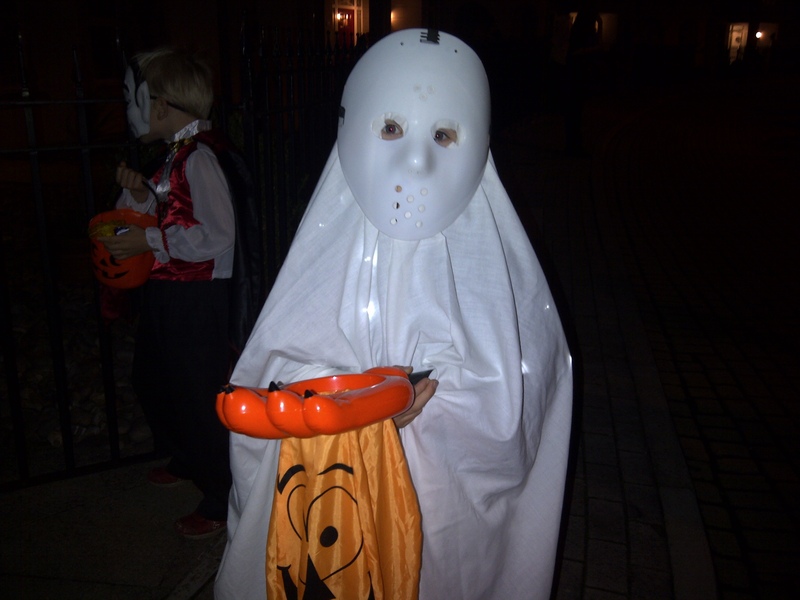 Tonight is the first time we have taken our daughter trick or treating and she loved it. 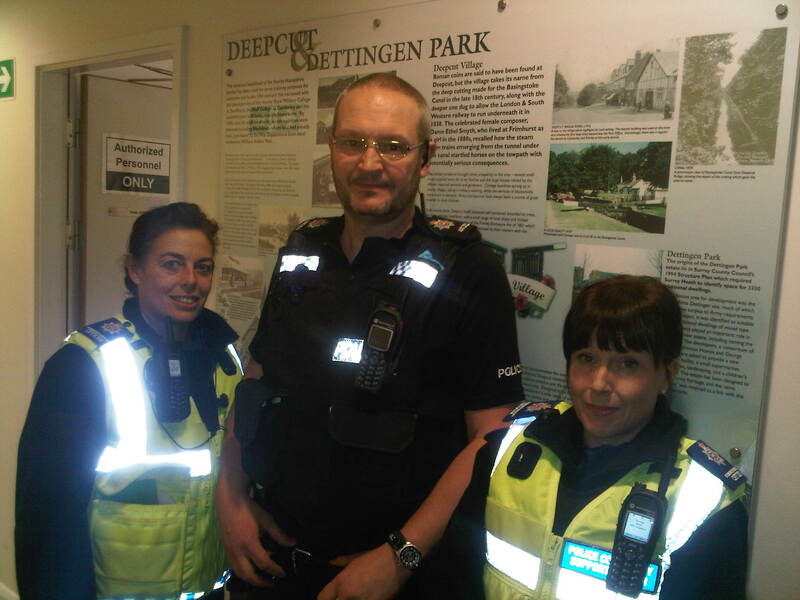 There was an incredible community spirit tonight at Dettingen Park in Deepcutwith so many households really getting into the Halloween swing of things and making it so special for all the children. 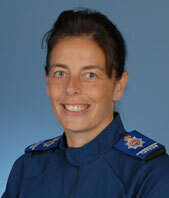 Your PCSO’s Lisa Ford & ‘Babs’ Ball have featured on the Surrey Heath Residents Network for saving the life of a woman on the Basingstoke Canal. On behalf of our community I want to thank these dedicated PCSO’s for everything they do for us, sometimes going beyond the call of duty. Make sure if you see them out and about you give them a pat on the back.